India’s new foreign direct investment (FDI) rules for the e-commerce industry could result in a massive set back for existing players. The likes of Amazon and Flipkart may lose up to 40% in revenues—between Rs35,000 crore ($5 billion) and Rs40,000 crore—by 2020 due to the tightening of FDI norms, according to CRISIL Ratings. “The impact on e-retailers would be largely in the electronics and apparel segments, which account for a bulk of their revenues,” said Anuj Sethi, senior director at CRISIL. On Dec. 26, the Narendra Modi government announced several restrictive changes in its FDI policy for online retailers, first floated in 2016. The new rules are aimed at safeguarding the interests of offline retailers. One of these rules restricts e-commerce companies from entering into exclusive deals to sell at deep discounts. The new policy also bars them from procuring over 25% of the inventory from a single vendor, especially from sellers in which the companies own a stake in. These changes will be effective from Feb. 01. Launching products exclusively on their websites and apps has been a major money spinner for online retailers, but the practice had left small traders and sellers particularly miffed as they could not match the deep discounts that online companies offered. 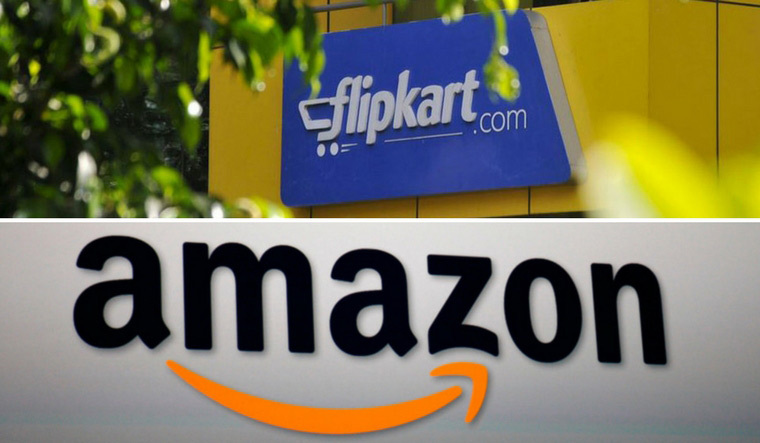 Amazon and Walmart-owned Flipkart, however, will not be compliant with the new FDI rules by the Feb 1 deadline. The companies have urged the government for an extension of the deadline by at least six months, The Economic Times newspaper reported. Between fiscals 2014 and 2018, e-retail in India grew at 40% a year to reach Rs100,000 crore, way faster than the brick & mortar retail industry, which expanded only 13%, according to CRISIL. “The strong growth in e-retail was driven by deeper market penetration and attractive pricing compared with B&M retailers. Robust FDI inflows of over Rs95,000 crore in the past four fiscals have made this possible,” said Gautam Shahi, director at CRISIL Ratings. However, the e-commerce industry cannot be written off as yet. The long-term growth potential for Indian e-retail companies continues to remain strong with increasing internet penetration, and the convenience of online shopping, combined with the growing purchasing power of households. But the new FDI rules will also divert some growth to offline retailers in the near-term, improving their revenues, profitability and cash flows, the agency said.